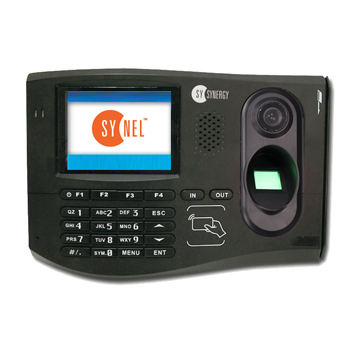 SYnergy terminal is Synel’s latest Linux-based Biometric Fingerprint Time Attendance System – Biometric Attendance System, which combines a graphic color screen with technologically advanced features for all your time & attendance and access control applications. The Biometric Time Clock Fingerprint Time Attendance system is also used as Access Control system. 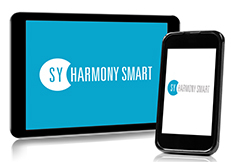 Synel’s Biometric Attendance System and access control system – SYnergy, is compact in size and attractively designed. It is also equipped with a built-in camera and a speaker for generating various sound effects such as alert notifications, report confirmation / rejection and other actions and events indications. Synergy terminal designed for Biometric attendance system in on-line communication, by using the internet technology called Web Service communication method. 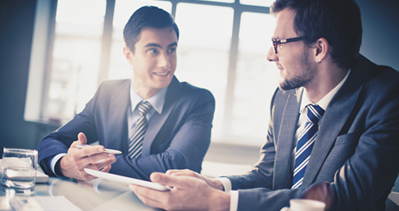 The Synergy terminal runs a permanent communication with the server, by asking for updated information and loading the employee’s swipe card data in real time. On the other hand Synergy terminal is also designed for off-line to our distributors that prefer updating the terminal application once and getting the data every few days. This type of terminal is very simple and friendly for businesses that are looking for hardware, with a variety of development tools. For more details and for a Biometric Attendance System price, please Contact Us.